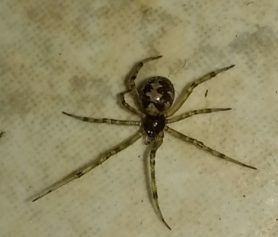 I looked thru the photos of Missouri spiders and didn't find anything that seemed to match. 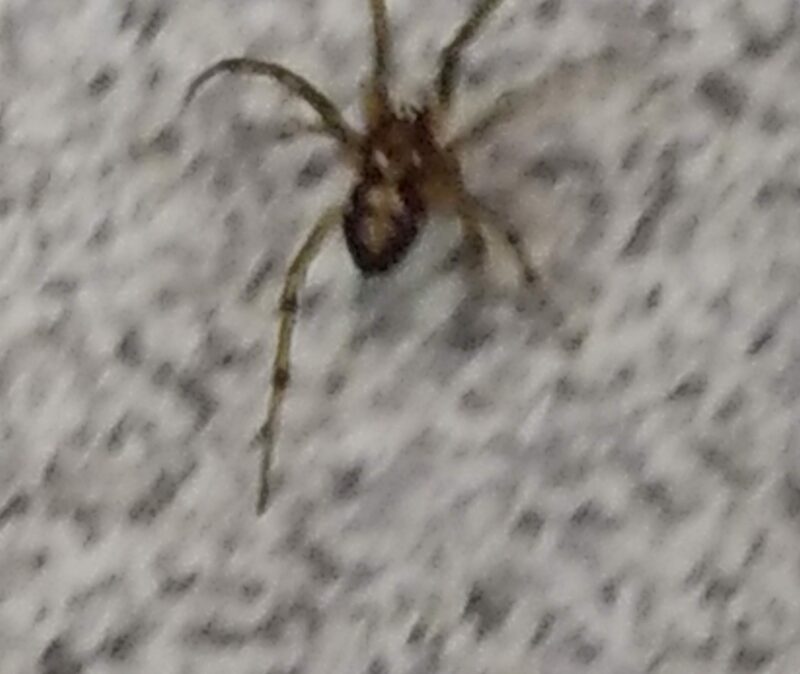 It was crawling on the floor in the salon I work in. I was cleaning the shop at the time. Very small. 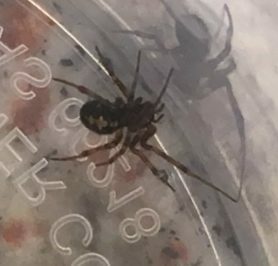 Hi, the photo isn’t clear enough to be sure, but my educated guess is that your photo is of Steatoda triangulosa or another Steatoda species. They can look reddish in-person and in photos look brownish with silver, white, or gold markings. 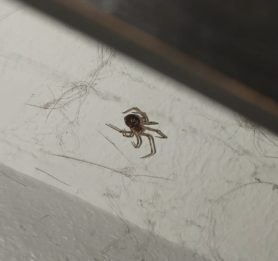 S. triangulosa, triangulate cobweavers, have a line of connected triangle markings down their abdomen. S. noblis has what looks like someone’s head in a hood. They are common spiders that live in dark crevices eating insects and other spiders. They can’t see well and prefer to avoid people. They make the true spider cobwebs, tangled,messy, and dusty.